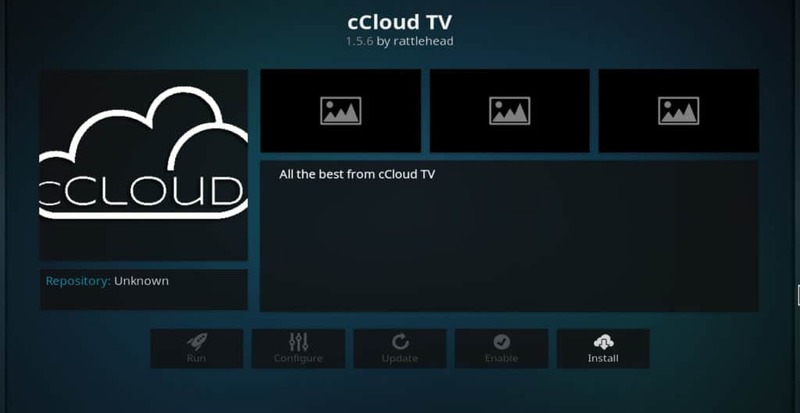 cCloud TV is one of the oldest third-party Kodi addons for live TV. Below, we dive more into what this addon is all about and whether or not you should use it for watching live TV on Kodi. Are you interested in watching live TV and on-demand movies without having to pay for a cable TV subscription? If so, you may be wondering whether it’s a good idea to install the cCloud TV Kodi addon. From our research, we’ve determined the cCloud TV Kodi addon is no longer available for those who want to use it. In its heyday, the addon provided access to unlicensed content. Now, however, cCloud TV has disappeared from its original repository. If you do find a cCloud TV addon, it may be corrupted or hijacked and therefore not safe. Is cCloud TV legal and safe to use on your device? This article will answer these questions in detail. Kodi is an open-source streaming media player. It allows you to connect to any website that carries movies, TV shows, sporting events or other kinds of video content and stream it to your computer. Kodi doesn’t house any content itself. It simply plays whatever media is available at the site you tell it to access..
Kodi can be installed on all of the most popular devices: Roku, Android or iOS smartphone, Nvidia Shield, Amazon Fire Stick, Apple TV, PC or Mac. Kodi has a reputation for having security and privacy risks and for being used to pirate movies and TV shows in violation of copyright laws. While these are legitimate concerns, Kodi is legal software that can be used with minimal security risks if certain precautions are taken. Kodi users who stream unofficial content usually turn to a VPN to keep their activities a secret. However, Kodi users who stream perfectly legal content should also use a VPN. Most addons are created by third parties, and not official streaming services. These addons can be changed by hackers and used to initiate “man-in-the-middle” attacks to reroute your private data into their own network, stealing sensitive information such as credit card numbers or other financial information. Using a VPN protects you against this threat by encrypting your streaming data so that a hacker can’t read it. It also protects you against speed throttling by ISPs and geographic content blocking by content-providers. Unfortunately, many VPN services slow download speeds far too much to be useful for streaming. In addition, some VPNs keep logs of customers’ data. This is a serious privacy concern. For these reasons, we recommend Kodi users employ IPVanish when streaming video. In our testing, we found that it handled 1080p video with no problem. It was also easy to install and is one of the few VPNs with a native Amazon Fire Stick app. In addition, it has a strict “no logs” policy. What is the cCloud TV Kodi addon? cCloud is a Kodi addon that scrapes content from a variety of websites. It is similar to Exodus, Pyramid, Sports Devil, and many other popular Kodi addons in this respect. However, cCloud is also unique in the sense that it allows users to post links on its website which then get offered automatically in the Kodi addon. With most Kodi addons, the sources offered by it can’t be added to by the user. As a result, if a website goes offline, it leads to a dead link within the addon menu. Kodi addon developers must constantly update the links to make sure that they lead to real content. If they fall behind in this practice, the addon becomes worthless. cCloud TV fixes this problem by allowing users to post their own links. Theoretically, this should allow cCloud to work for many years in the future, as long as the cCloud website itself does not go down. It is this innovation that has made cCloud so popular when compared to similar addons. Despite this popularity, however, there are serious security and privacy concerns with the cCloud TV Kodi addon. cCloud TV is a third-party Kodi addon that has not been thoroughly vetted the way that official addons have. In addition, there is no vetting process at all for the sources that are used in cCloud, since absolutely anyone can add a source to the menu. For this reason, malware creators probably consider a site like cCloud to be a dream come true. Another problem is that much of the content available on cCloud appears to be pirated. For example, I found streams for popular channels like A&E and Animal Planet, as well as hit shows like American Horror Story and Breaking Bad. These channels and shows all require subscriptions to view them elsewhere, so it’s doubtful that the sources of these streams have permission to offer them for free. This creates a legal risk for the sources cCloud uses and for cCloud itself. This may eventually cause cCloud to be shut down, causing broken links to emerge just like they do in other addons. To be fair, cCloud TV does post a DMCA takedown procedures notice. However, the notice explains that it can only take down particular links if requested, not all links that point to a particular piece of content. This is the kind of argument YouTube made in its infancy but eventually had to abandon. In order to defend itself against lawsuits, YouTube eventually developed algorithms that detected and removed content rather than particular copies of content. It may be that cCloud will eventually do the same. Right now though, they are still operating in a legal grey area. For these reasons, we do not recommend installing and using the cCloud TV Kodi addon. Instead, we recommend using the alternatives listed below. All of the following addons are known to stream from legitimate sources. They all have high-quality picture and sound and a variety of content. No Kodi addon is completely without privacy and security risks. However, these are all significantly less risky than cCloud TV. 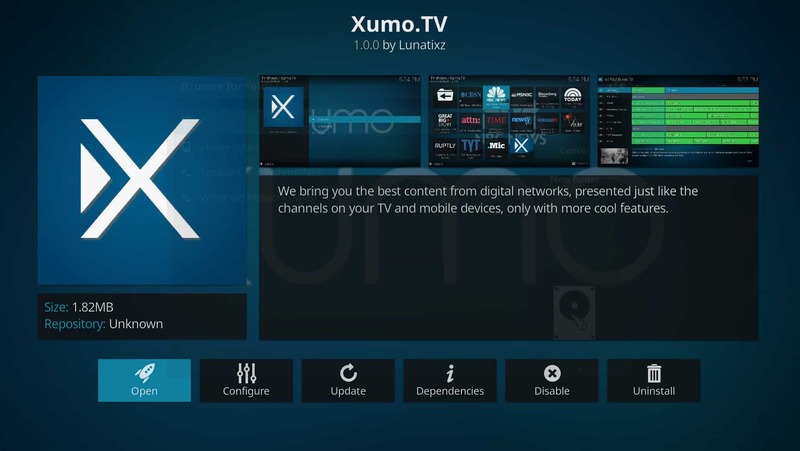 Xumo is one of the newest live TV addons that offers over 100 free channels. You can access everything from 24/7 movie channels to sports to news through Xumo. All of these channels are ad-supported, although the Kodi addon filters out the ads in most cases. Crackle is a free online television service paid for with advertising. It carries many popular movies, including Blue Lagoon, Child’s Play, Underworld: Evolution, The Exorcist III, and The Ides of March, as well as classic TV shows like Heroes and The Shield. It also carries highly rated originals only available on Crackle, such as The Art of More and Cleaners. 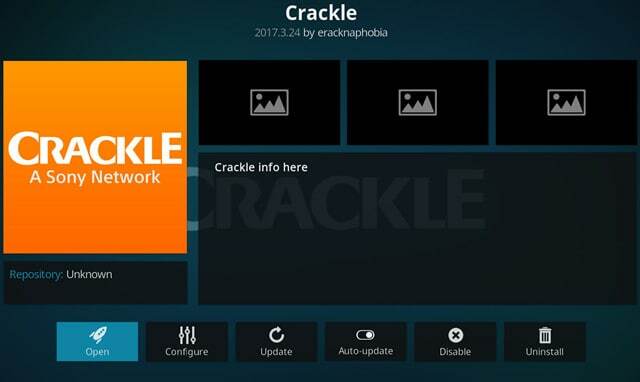 The Crackle Kodi addon is part of the official Kodi addon repository. Pluto.tv is a collection of free online television channels. It carries top-rated news channels like CBSN, Bloomberg, RT America, and CNBC. It also carries channels devoted to comedy, celebrity gossip, sports, and many other kinds of entertainment. 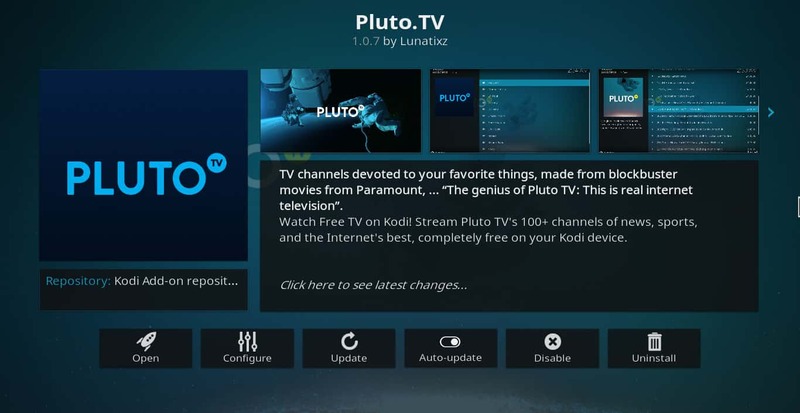 Pluto.tv is located in the official Kodi addon repository. 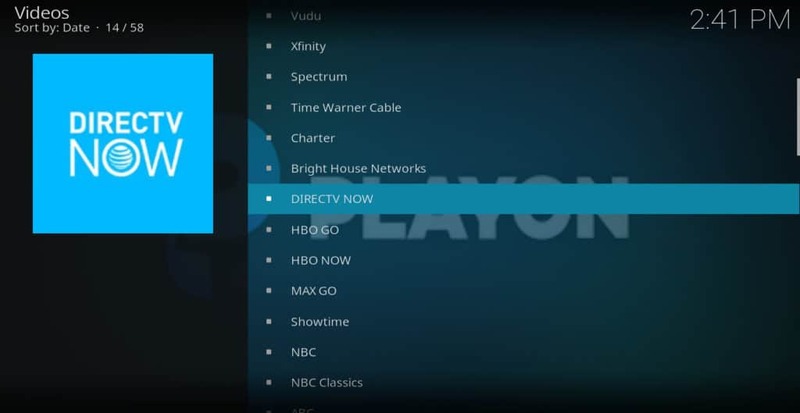 Do you have a DirecTV Now or cable TV subscription but can’t use it in Kodi? The PlayOn Kodi addon can help. PlayOn is a service that allows you to legally record content from many different streaming sites, including DirectTV Now, CBS.com, NBC.com, FXNetworks.com, and others. You don’t have to record the programs in order to stream them, so you can use the PlayOn Kodi addon to watch TV live as well. In order or watch or record live TV on PlayOn, you will need a subscription to either DirecTV Now or a cable TV service. You will also need a subscription to PlayOn itself, which costs $30/year. The PlayOn browser for Kodi is located in the official Kodi addon repository. 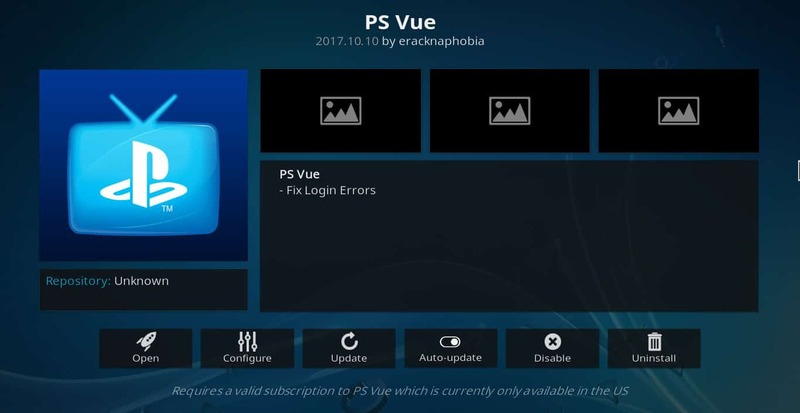 If you’ve tried all of these other addons and still can’t find all of the content you want, it may be time to consider subscribing to a cable-replacement service like PS Vue. For $39.99/month, PS Vue gives you most of the channels you would get if you had cable, but without having to pay for a cable box or other outmoded technology. The PS Vue Kodi addon can be found in the official Kodi addon repository. The cCloud TV Kodi addon is definitely an innovative piece of software. Its feature of allowing users to post links makes it easier to keep the addon updated so that it continues to be useful. But this strength is also cCloud TV’s greatest weakness. Letting just anyone post links as new sources for the addon greatly heightens its security risk. While cCloud TV Kodi addon is very popular, there are a lot better ways to watch movies and TV on Kodi than installing it.